The new antennas arrived and I experimented with the payload antenna. The base antenna, a Yagi antenna, requires a bit more set up so I haven’t tried it. I discovered with this experimenting that the radio signal from the DNT900 may interfere with GPS signals. The board was flat and the radio antenna was vertical. I received no GPS data. 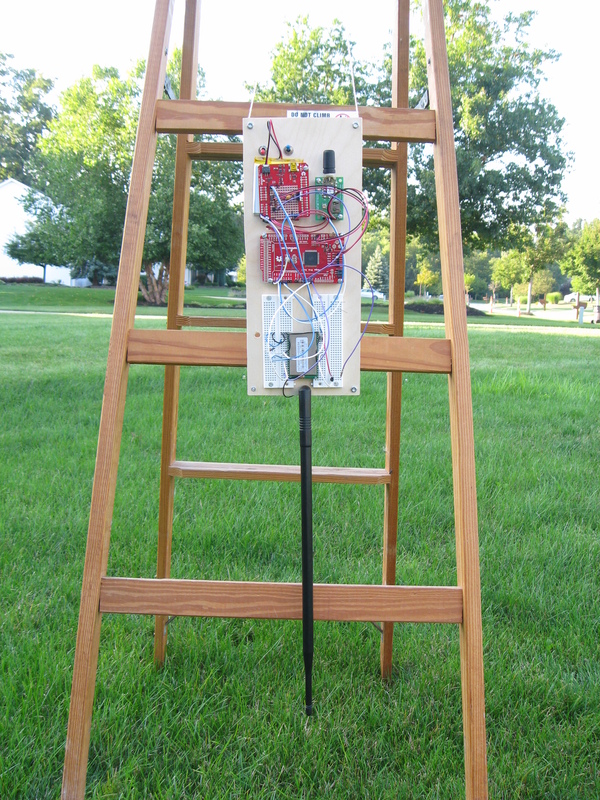 When I hung the prototype from the top of a ladder (as shown below), I started receiving GPS data after five minutes.